DUNGOG CONTEMPORARY “In the sanctuary of objects 2”, 2009. Over the last fifteen years artist Ken O’Regan has developed sculptural practices that combine found object assemblage with environmental themes. His practice has involved producing large installations that visually echo museums, stained glass windows, mandalas and neon signage. His work frequently uses light to make these references and this has extended his practice into the area of sculptural lantern making. O’Regan’s work is well known in the Hunter Region of NSW through regular and critically successful exhibitions, community art projects, public artworks and education projects. 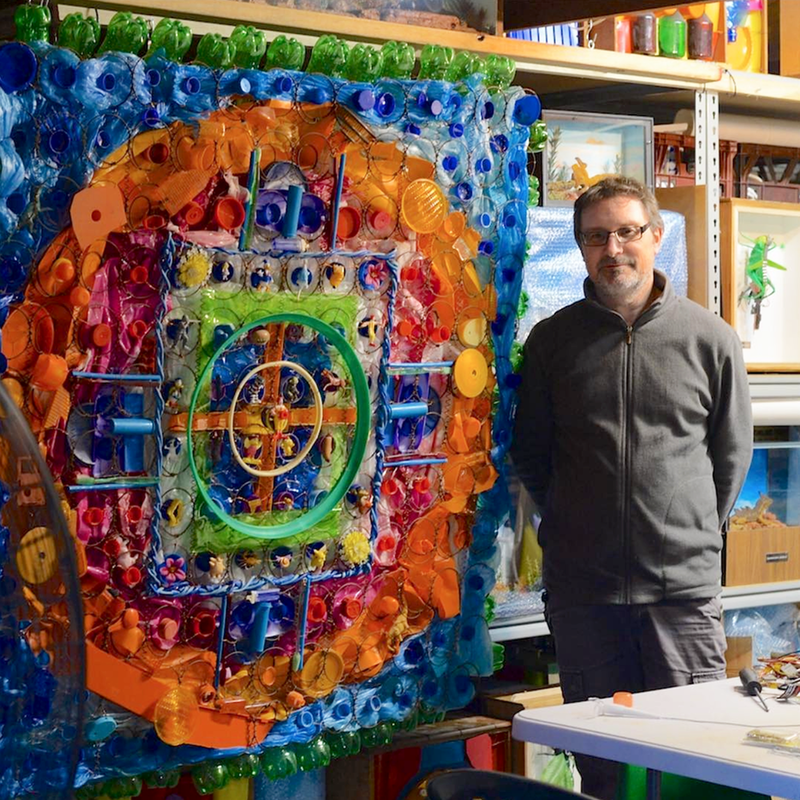 He has created many successful workshops for children that combine art education with waste reduction and recycling message. His artworks are represented in the collections of Newcastle Region Art Gallery, Wallsend District Library, The University of Newcastle and in many private collections. Ken O’Regan’s practice is based on both the use of waste materials as art media to create large assemblages for exhibition, or on the use of bamboos and cane to create large scale installations for events. His work is strongly concept driven but it still remains immediately connected to the physicality of the materials and to the processes necessary to convert them to his aesthetic needs. “In the sanctuary of objects 2”, 2009.